Despite an attempt by Western media outlets to present the recently captured individuals in eastern Ukraine as OSCE (Organization for Security and Cooperation in Europe) observers, evidence has now emerged demonstrating yet again that the presentation provided by these outlets is actually quite far from the truth. Indeed, those men captured by pro-Russian militias in East Ukraine are not OSCE observers at all, but were sent to Ukraine by NATO countries and OSCE member nations under the auspices of the Vienna Document on military transparency. This group included no OSCE monitors whatsoever. In Ukraine, pro-Russian militants yesterday captured a bus carrying observers sent by member states of the Organization for Security and Cooperation in Europe, a 57-nation group that includes Russia and the U.S. focusing on conflict prevention and preserving human rights, Ukraine’s Interior Ministry said in a statement on its website. They were holding 13 people hostage in Slovyansk, it said. With this in mind, it is important to note the home countries of the individuals in question – Germany, Czech Republic, Denmark, Poland, and Sweden . All of these countries, in addition to being OSCE member nations, belong to NATO, the notoriously warmongering international treaty organization now standing as the opposition to Russia over the issue of Ukraine. That the team members, all drawn from NATO member states, are not actual OSCE monitors, raises doubts over the legitimacy of their mission. NATO has decisively sided with the unelected regime currently occupying Kiev. The objectivity therefore of ”monitors” drawn from NATO states presents an immense conflict of interest. 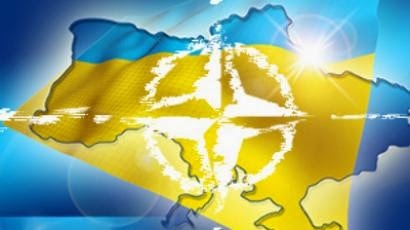 Just as other international organizations, including the United Nations itself, are used by the West as cover for covert extraterritorial operations, it appears that the OSCE Vienna Document on military transparency has been abused in an effort to support Kiev’s unelected regime and its on going armed operations in the east of Ukraine. I would have to say first of all, we should stop calling them OSCE observers because all indications are that they are not. That is what the OSCE has been saying continuously since this started and you can see it on their website. There are basically two versions. The Western media say OSCE observers, but the mayor Mr. [Vyacheslav] Ponomaryov, the pro-Russian mayor of Slavyansk, knows them as spies. I’m afraid reality seems to be going in the direction of Mr. Ponomareyov. These are active-duty NATO military officers. They are four from Germany, one from Sweden, the Czech Republic, Denmark, and Poland. All NATO or European Union (EU). The German officers come from a place called Geilenkirchen, which is a very important NATO base. This is where the AWACS planes are flown from. It’s one of the big NATO reconnaissance centers and they particularly belong to a unit of the German army, the Bundeswehr, which is called the center for enforcement or verification tasks. In other words, it’s military intelligence. What seems also to be the case, is that they were accompanied by five active-duty Ukrainian officers of the pro-Kiev forces, the ones that are controlled by the regime. The complicating factor is they were riding around in OSCE vehicles. They were in a bus that seems to have been displaying OSCE markings. Now, when they were captured, there was obviously tremendous pressure exercised by the German Defense Ministry and the whole NATO apparatus on the OSCE to play along with this charade, pretending that they were sent by the OSCE, but it hasn’t worked. On Friday evening in Vienna, on the first program of the Austrian television, Claus Neukirch, a high-ranking official of the OSCE, said this was not our group, not our visit, we were not the ones who did it. This is also admitted on the Deutsche Welle. Deutsche Welle is the international TV and radio of the German Foreign Ministry. All of this exists really only in German, so today, the Ukrainian foreign minister struggling to keep up this fakery to maintain the camouflage, the Ukrainian foreign minister said, “oh, the Secretary General of the OSCE will be arriving here in order to begin negotiations or to take them over.” Very wisely the secretary general of the OSCE, an Italian diplomat named Lamberto Zannier, said “no, I’m not going.” He was very well advised not to go. Who knows what would happen to him if he got there? The fact is that for the first couple of days, negotiations were conducted exclusively by the German Defense Ministry, who were the people that made the deal with Kiev to send these people in. This was embarrassing that the German Defense Ministry leaned on the OSCE to say “why don’t you go in and negotiate,” which the OSCE I think unwisely did. I would say to Mr. Zannier, don’t go to Ukraine, rather you should denounce the abuse and perversion of an OSCE vehicle in the name of the OSCE by what is in fact NATO military intelligence, and if you’re caught behind military lines with no uniform, that’s sometimes called espionage, whether that’s the current situation or not, it’s not clear, but I would urge everyone to stop referring to them as OSCE observers, they are NATO military officers. In the end, the alleged capture of innocent OSCE observers is nothing more than yet another heavily twisted propaganda ploy manipulated by the West and the U.S. State Department in particular for the purposes of drawing the U.S. into an even larger potential confrontation with Russia over the geopolitical trophy that is Ukraine. Brandon Turbeville is an author out of Florence, South Carolina. He has a Bachelor's Degree from Francis Marion University and is the author of six books, Codex Alimentarius -- The End of Health Freedom, 7 Real Conspiracies, Five Sense Solutions and Dispatches From a Dissident, volume 1 and volume 2, and The Road to Damascus: The Anglo-American Assault on Syria. Turbeville has published over 300 articles dealing on a wide variety of subjects including health, economics, government corruption, and civil liberties. Brandon Turbeville's podcast Truth on The Tracks can be found every Monday night 9 pm EST at UCYTV. He is available for radio and TV interviews. Please contact activistpost (at) gmail.com.